When certain professionals do not report the abuse of an elderly or disabled person, they may be held liable for the injuries or deaths that occur. Mandatory reporting laws impose an affirmative duty on professionals to report nursing home abuse or neglect. 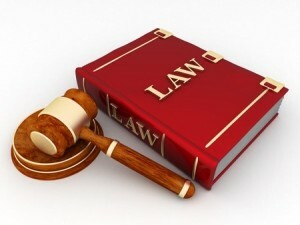 Whenever the law imposes a duty, everyone who is affected is required to perform that duty. If someone breaks that duty, he or she is subject to civil and criminal liability. Pursuant to the Elder Abuse and Neglect Act (the Act), any person may in good faith report suspected elder neglect, abuse, or exploitation or cooperate with any investigation into elder abuse. Under the Act, any person who reports or cooperates with an investigation is immune to civil and criminal litigation. That person is also immune to professional disciplinary action. Finally, the Act prohibits disclosing the name of the reporting person, absent written approval by said person or by court order compelling disclosure. The goal of the Act is to encourage “whistleblowers” to report individuals or entities that abuse the elderly. However, the Act also imposes additional duties on certain professions. Professionals delivering services to the elderly in these industries are under a mandatory requirement to report abuse if they believe that the victim is incapable of reporting the abuse himself. The mandatory reporting requirement is three-pronged. First, the individual must work in one of the above-listed industries. Second, that person must provide services to the elderly, therefore, custodians and accountants are not mandatory reporters because they do not provide services to the elderly even if they are employed by an adult care facility. Finally, the reporter must believe that the victim is unable to report the abuse himself. The purpose of the law is to protect victims of elder abuse. If a professional identifies abuse, falls within the Act which requires reporting, fails to report, and someone is injured, he or she could be subject to civil and criminal penalties.